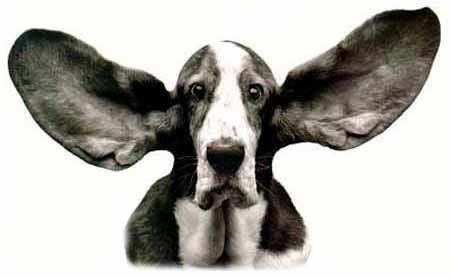 Every year many dogs suffer from noise phobia which creates a problem on New Years Eve. Loud noises such as fireworks during this holiday traumatize dogs. Desensitizing a dog to fireworks and related noise is possible but it takes time and pre-planning. Since the New Year’s celebrations are just around the corner I thought it would be a good time to mention a few things owners can do to assist their pets through this short period of potential trauma. I wrote previously about some of the pet music CDs available and some are specifically focused on helping pets overcome noise phobias associated with fireworks, thunder, and other loud bangs. 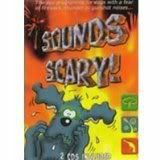 Most of the CDs I have found for this come from the United Kingdom such as the Sounds Scary CD Pack, Sounds Soothing CD Pack, Clix Noises And Sounds CD For Treatment & Prevention Of Sound Phobias In Dogs, or Sounds CD Behaviour Therapy CD for Dogs. Obviously there isn’t much time to have such items delivered. You can help your pet get through this holiday a few different ways. I wrote about pet noise phobia therapy for thunderstorms previously and the same products can help you with New Year’s noise phobia. Dog Appeasing Pheromone (DAP) can help calm a dog (there is also a cat product called Feliway) and it is available in a few ways. For the home, I prefer the Dog Appeasing Pheromone Electric Diffuser (DAP) but there is also a Dog Appeasing Pheromone (DAP) Collar, and a Dog Appeasing Pheromone (DAP)Spray. HomeoPet Thunder Fireworks Loud Noise (TFLN) Anxiety drops is a specific formula for firework phobic pets but other homeopathic products such as Rescue Remedy can help, too. A few people have found their pets improve when given Melatonin. Although drug therapy and sedation can work, I only like recommending it if you have tried other techniques unsuccessfully previously. It is important to refrain from ‘comforting’ their pet because, although done with good intentions, this can actually reinforce the fear and panic behaviors exhibited by the animals. Reassuring your pet is different from the cuddling, petting, holding, and trying to physically relieve the stress. It is best to soothe your pet by your tone of voice and by remaining calm. Other preparations on such short notice is to make sure that your pet has ID tags with current information on them and that pets are safely secured both before and through the holiday. Your home environment is often the best holding area for your pet especially where you can confine your animal in a quiet room or in a crate. Confinement or crates serve as a “den” that gives animals more security if trained right. Crates that contain solid sidings with air vents work better than the wire ones in this type of situation. If you are using a room in the home, the best ones are the bathroom, laundry room, or a secure garage. The room to choose is one where there are no windows to jump through, or where the windows can be blocked off, or that are too high and narrow to access. In addition, darken the room and crate. Be sure to play soothing music at a level that helps drown out the firework noise. Before the holiday, be aware that fireworks may be set off before dark. Keep your dog on a leash when toileting and be sure that your pets have on a secure collar with the name and phone number of the veterinarian and your cell phone along with an emergency number of a friend that knows you pet. Be sure to put your pets “to bed” early before celebrations and the fireworks start. Always check with your veterinarian and behavior specialist before using any drugs or tranquilizers, and don’t forget to watch out for guests opening doors up which can provide an opportunity for animals to bolt outdoors. If you think you need professional help be sure to contact your veterinarian or your local animal behavior specialist prior to the holiday. Do you have any other tips or product recommendations for this issue? Please leave a comment below. Great info. I wish that I had found it before the New Year’s Eve Celebrations but our Bulldog survived it anyway.